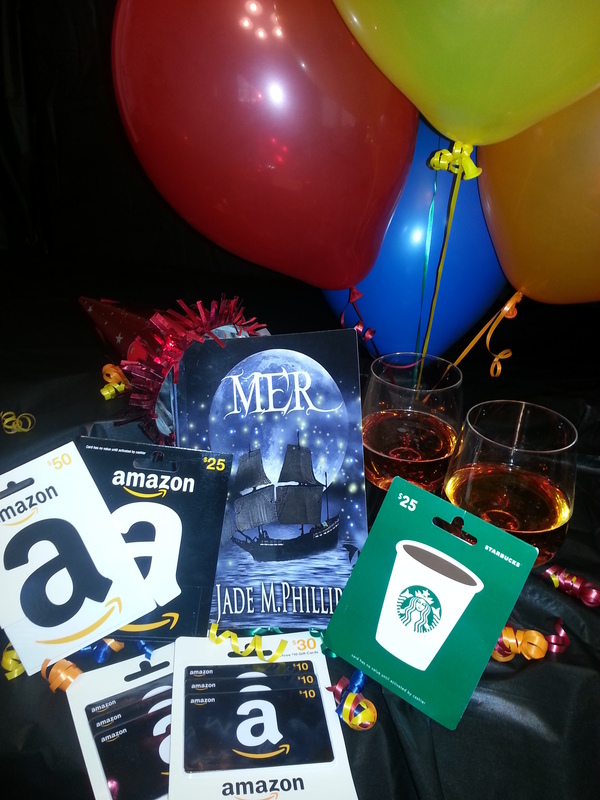 We have winners for the MER BOOK RELEASE EXTRAVAGANZA GIVEAWAY and the FACEBOOK ALL DAY GIVEAWAY! At midnight last night we calculated all of the captions and the page # guesses and here are all of the FACEBOOK ALL DAY GIVEAWAY winners for the MER BOOK RELEASE EXTRAVAGANZA! LOL! I think everyone had a good time. I know I laughed my booty off all day and night with these games! Thank you so much for the fun and support. Winners please Private message MER with your name and street address so you can be mailed your signed copy of MER. If you prefer a kindle edition, just your name and e-mail address will be needed! “TRIVIA QUESTION” Game Winners will receive a $10 Amazon Gift Card! *Dana Jan Bartelt won a whopping FOUR times and will receive (4) $10 Amazon Gift Cards! *Amber Bates won a $10 Amazon Gift Card! *Jessica Hull Sotelo also won a $10 Amazon Gift Card! Congrats to the winners and Thank you for the participation! AND NOW… for the “Guess how many pages are in MER” winner(s) who will receive a signed paperback copy or kindle version of MER and their name will be featured as a character in MER book 2. THE # IS 315 and we had a tie!!! *Heidi Hale and Michael Fennena both guessed 315! Good job guys! Heidi and Michael, please Private message MER your FULL names (first, middle, and last) and your street address if you want a paperback book, or e-mail if you want a kindle version of MER!!! WOW! What a fun giveaway! We are totally doing this again for the MER book 2 release later this year! Thank you again for everyone’s support and participation. We just wish everyone could have won! Thanks so much for the autographed copy! It was so much fun to be a part of this! Can’t wait for MER2!!! Omg, won the $50 amazon gift card! I am so buying the kindle edition of Mer. 🙂 Thank you. So happy you won Kuljit! And glad to hear you’ll be reading MER. Enjoy the gc and the book! Really? Wow, Maegan I’m flattered. Thank you so much!